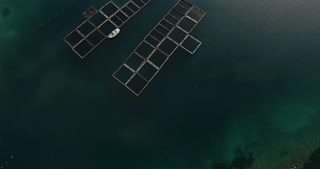 Search Results for "fish farming"
Sea fish floating in water on farm. Breeding and cultivation, fish farming in open sea water space. Close up fish floating in sea water on farm. Breeding and cultivation, fish farming in open sea water space. Wide view of an Atlantic Salmon farm in a Norwegian fjord. Circular pens in open water allow the fish to grow and swim naturally. Fish farming in Norway produces most of the commercial salmon harvest. A tender ship moored at an Atlantic Salmon farm in a Norwegian fjord. Circular pens in open water allow the fish to grow and swim naturally. Fish farming in has become prolific along the coast. Close up big fish floating in water on sea farm. Breeding and cultivation, fish farming in open sea water space. The Norwegian aquaculture industry has experienced rapid growth since its beginnings. Norway produces more than half of the Atlantic salmon. Fish farming is prolific along most of the coastline. Fish farming laboratory. Macro shooting of young, little lobsters moving in the water.